We actively support clients from new start-up initiatives, SMEs, multinationals to large global corporations. Acel Venture is unique. We are an organization of independent advisors and consultants dedicated to providing exceptional professional expertise and skills across all key functional areas and a broad range of industry sectors. Our range of professional services include branding, re-branding business consultancy, franchising, intellectual property(IP),company re-structuring, strategic business planning as well as application of suitable government grants for the development and expansion of business operations . Our associates are all senior professional with proven track records in various industries.  Acel Venture adopts a hand-on, dedicated and honest attitude to delivering real value to your business. We treat all our clients’ queries and information with the strictest confidentiality. We are also involved in providing expertise to organisations in the areas of sales and marketing, capabilities building, business development, company restructuring, strategic business planning & training.